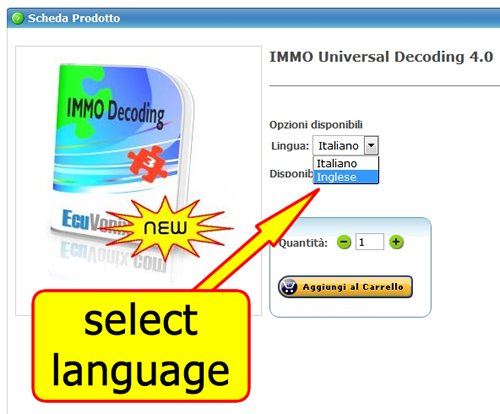 The software IMMO Universal Decoding is compatible with read file with programmer such as UPA-USB, WELLON Series VP/GP, Galep, Serial and many other (not supplied with the software). 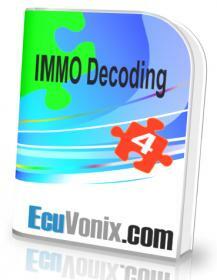 Once loaded the read file of the ECU, The software will repair the IMMO code. For many ECU, there is the possibility to make virgin the IMMO in order to recode, according to the value of original key, or to delete definitively (not recode). M3.2.1, M3.8.2/3, M5.4.1, M5.9.2, etc.. In this new version were introduced 1100 compatibility of ECU, and 1200 photos, with accurate descriptions of the type of memory to be read, their location, pinout and much more. (Here are reported some examples that show the location of the memory and the high quality of the photos). They have also been added the verifications of eprom, to identify the version of the file to be processed, and the automatic correction of the checksum. Fixed several minor bugs and errors from previous versions, and improved 50% of compatibility. Updates: updates will be available through the exit of new versions, cost of the update will be notified via emai. DISCLAIMER: this software is supplied only such as test and for not moving cars. We will not be responsable for any direct and indirect demages from the use of the file created by the software.